Become a connected school or district with Education Cloud for K-12. Great schools deserve great technology. We’re serving K-12 to amplify our impact in the world, by amplifying yours. 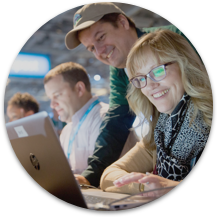 Salesforce.org is committed to affordably getting our best-in-class technology to every school or district that needs it. Because we know that education shapes our collective future. *Average improvements reported by Salesforce.org customers. Education Cloud for K-12 is a set of solutions for schools to engage and empower key constituents. Connect all your systems, data, and people on our cloud-based, mobile-first platform -- and create new efficiencies in communications, student management, enrollment, and fundraising. 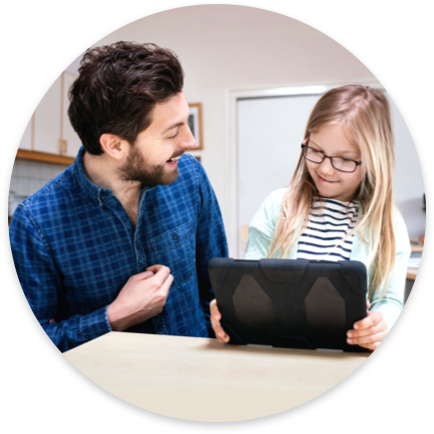 Through the Power of Us program, Salesforce.org makes Salesforce products available to K-12 schools at a deep discount. You can get started with your free trial today. With you at every step of your journey. Become a Connected School with Education Cloud for K-12. Let our team of experts take you further, faster. Join our community of K-12 trailblazers. Sign up to stay up to date on the K-12 Kit. Our open-source tools make it easy to integrate your data with our platform. A dynamic online community of developers and end-users, where you can ask questions, share experiences, and learn how to apply best practices to your organization. Discover and work with other Connected Schools in your local area to broaden your impact and create greater change. For us, it's about more than providing the best technology. It's about changing the world. Through our philanthropic programs, we work with organizations like yours to create lasting impact. Resources to help you on your journey -- including these detailed FAQs for K-12.